Another under-the-wire entry. I decided to hold off on The Amazing Spider-Man 2 until after Halloween, since I only have this one week before we get into October. 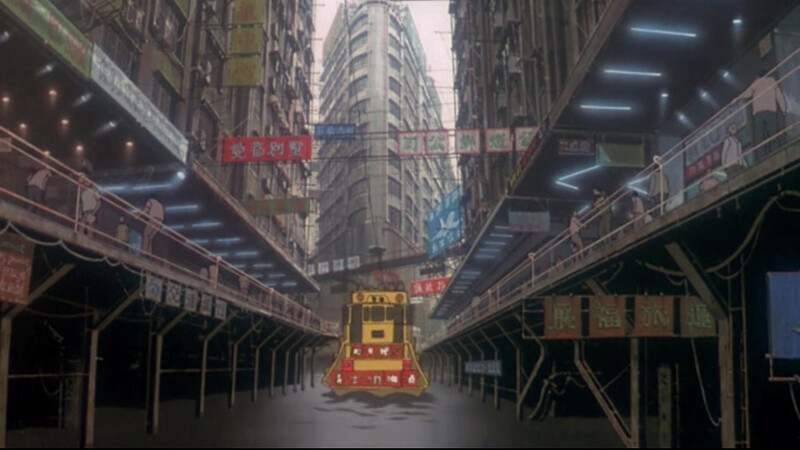 So here is a quick look back at the cyberpunk classic, Ghost in the Shell. 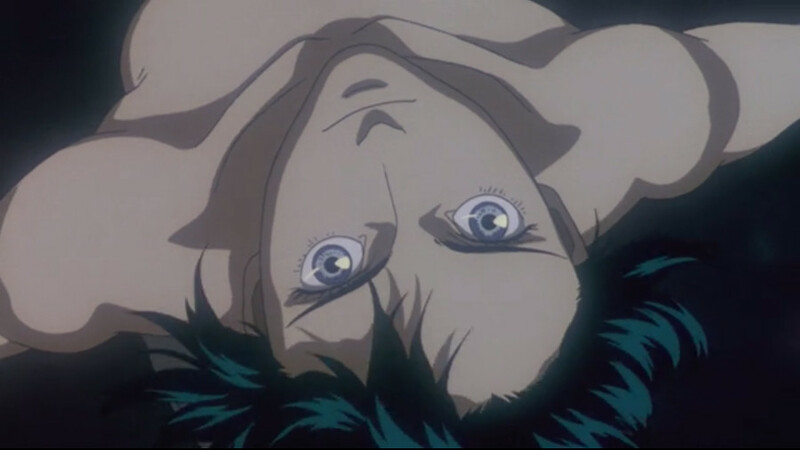 Directed by Mamoru Oshii from a screenplay by Kazunori Ito adapting the manga by Masamune Shirow, Ghost in the Shell is a meditation on the nature of humanity and our relationship to the technology that enhances our capabilities so much that it seems to be changing us into entirely different beings. 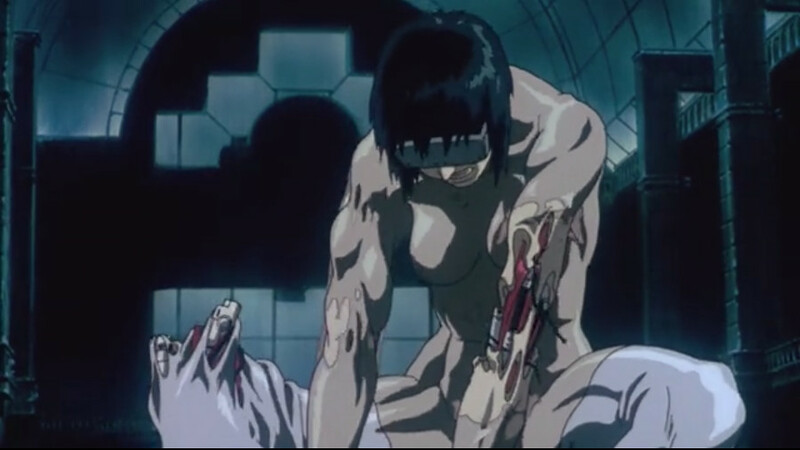 The story centers on special agent Motoko Kusanagi. She works for Section 9, a special government agency that seems to be into black operations. To this end, she has been given an almost entirely cyborg body. The only parts of her that can still be said to be human are a few brain cells and perhaps her soul (referred to in the movie as a “ghost”). Problems arise when Section 9 runs afoul of a hacker known as the Puppet Master, who can actually hack a person’s ghost, giving them false memories and manipulating them into doing his bidding without realizing they’re working for him. Like this guy with the awesome submachine gun, who we are first led to believe may be the Puppet Master. 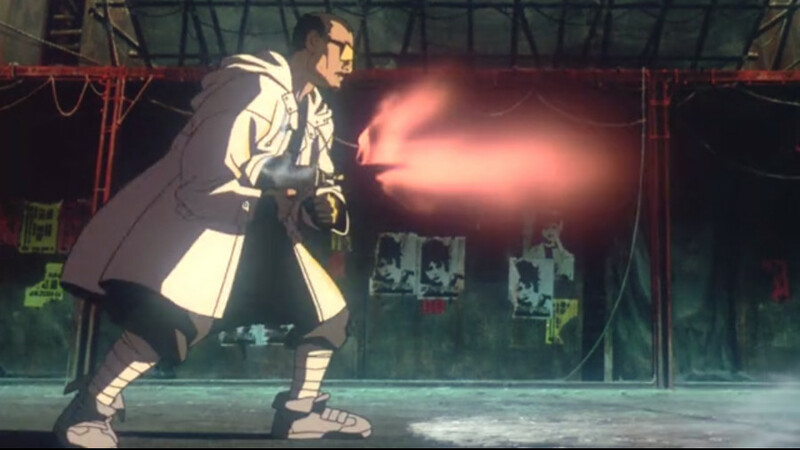 The film ends up going back and forth between some genuinely brilliant action scenes, long stretches of barely-comprehensible exposition combined with philosophizing on the nature of memory and humanity, and a couple of long stretches just letting us dig on the awesome setting design and music by Kenji Kawai. It feels a lot slower-moving now than it did twenty years ago, but it’s still gorgeous. 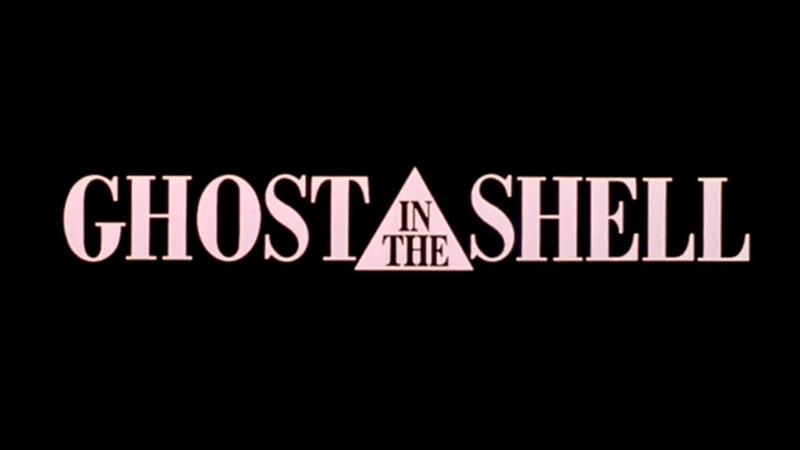 The second half of the movie picks up some momentum as it turns into one long sequence tying together the two separate strands introduced in the first half. There’s an exciting and visually impressive climax which features Kusanagi facing off against a spider-like tank and literally tearing her own body apart trying to get into it. But she’s a cyborg, so this is far from the end. I don’t know that I love the film as much as I did back when it was new, but I do love the original far more than the half-assed “2.0” special edition that was put out in 2008. If you have Hulu, as of now, you can watch both versions to compare and contrast. 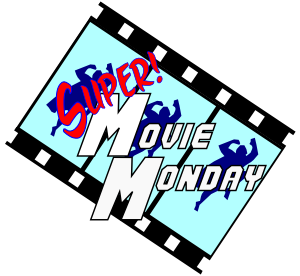 This entry was posted in Super Movie Monday and tagged cyberpunk, Movies, science fiction. Bookmark the permalink.